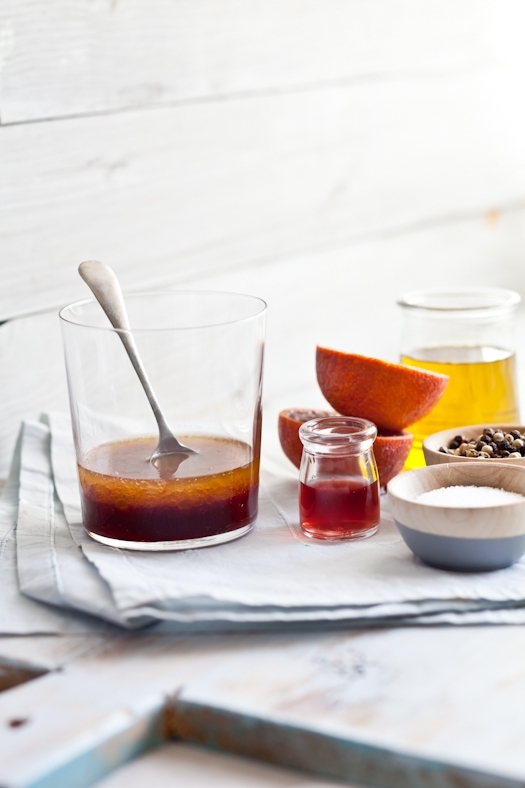 In a medium bowl, whisk together the blood orange juice, garlic clove, vinegar and salt and pepper. Slowly whisk in the olive oil. Set aside until needed. In a large saute pan, heat the olive oil over medium high heat. Season the scallop with salt and pepper on both sides and carefully add them to the pan (oil may splatter a bit). Sear them for about 2 minutes, carefully flip them and sear for another 2 minutes. Remove from the pan and reserve to the side. 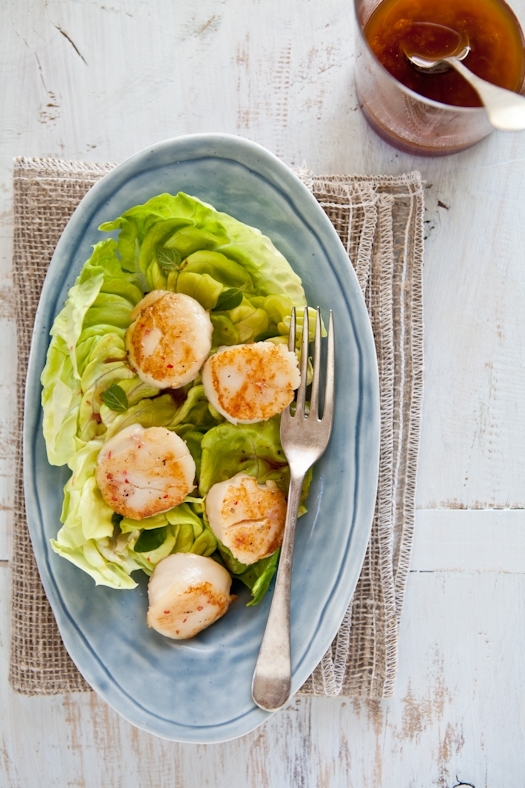 On individual plates,arrange a good amount of lettuce leaves, place the scallops on top and drizzle with the blood orange vinaigrette. 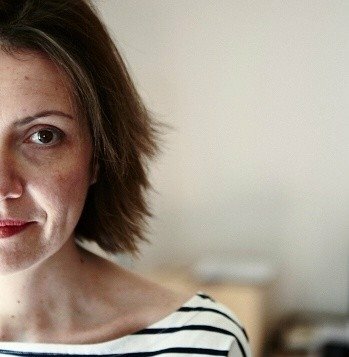 Your photos and writing are always so beautiful and calming. Your blog is one if my favorite places to escape to and relax :) This salad looks delicious! Oh, this makes me hungry! And it's not even lunchtime yet. I love homemade vinaigrettes. Can't wait to give this a try. Fantastic idea for refreshing dinner! Here in Greece we have plenty of blood oranges, which we call here sanguinis, so I will try it out soon! Could like get any better? This looks super-gorgeous..all your photos are pure magic! The scallops are fantastic looking but the vinaigrette is giving me so many ideas for Spring grilling. 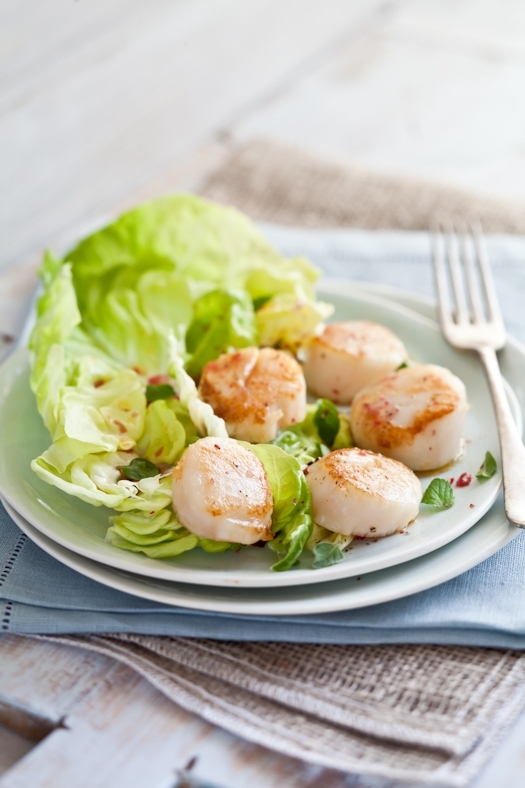 I love scallops and this salad looks really good ! This looks so delicious. I wish I could find blood oranges here in Florida. I've never seen them at ant grocery store or farmers market. I suppose they need cooler weather to produce fruit. qbnsalsa: given that I can find them in Alabama, the Deep South and Charleston, the South, as well as in Provence when I get back to the South of France. 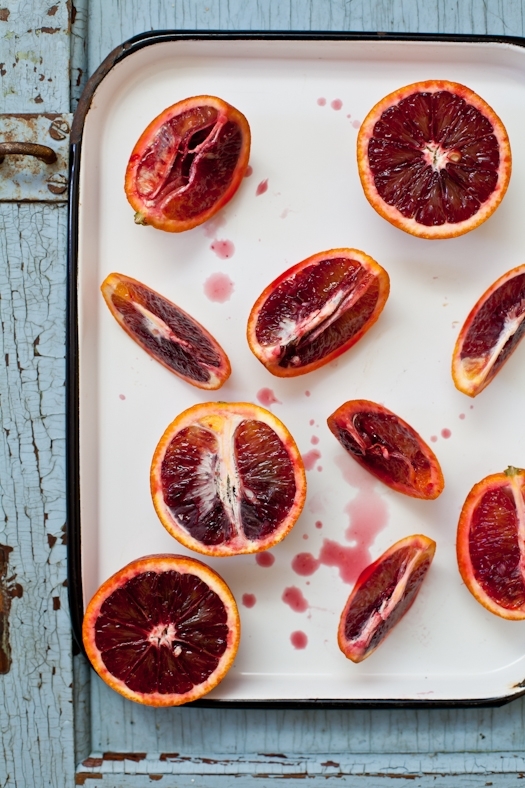 I would not consider blood oranges a cooler weather produce. They grow everywhere but only during the winter months. Check Whole Foods, next winter - they usually have plenty according to my friends and fellow bloggers living in Florida. This looks so delicious! I love blood oranges! I'm certainly looking forward to working this recipe into this weeks meal planning. It's 15F and a foot of snow in Colorado right now, Spring or not. A taste of warmer climes may be just what I need. Such beautiful pictures as always. I kept nodding to myself all through this post- yes to loving winter but being ready for spring, yes to blood orange overload, and yes to scallop salad! What beautiful dishes! I've always loved scallops but I don't think I've ever had them with a citrus vinaigrette. I love how simple your recipes are; after reading a book called Health on Your Plate I've been trying to cook a lot more with simple, whole, non-processed ingredients. I've never made a vinaigrette before...I'll have to try to find some blood oranges. Thank you! Oh, how I love scallops! I usually order them when I am out to dinner because I am a little intimidated by trying to prep them at home. I will try this recipe though. Yum!